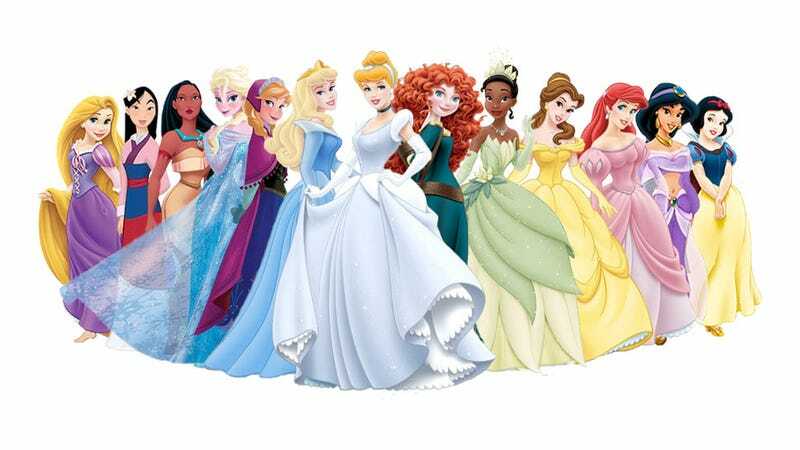 Who Is the Most Popular Disney Princess on eBay? Not that Disney had ever dialed it back on the princess thing, but the recent mania surrounding Frozen has really amped it up, making Elsa a new classic, right up there with Cinderella. But the true test of a Disney princess' popularity and staying power is not how much money she earns for Disney, but how much she earns for re-sellers on eBay. Terapeak, a sellers' tool that provides analytics, has ranked the princesses by the dollar amount they earned on eBay since May 2013. Just five months after Frozen's release, Elsa comes in at number one, raking in more than $3 million. Disney's Grace Kelly, Cinderella—the quintessential princess whose castle holds court at the Magic Kingdom—came in at a distant second, but just beating out Snow White. Interestingly, the ethnic princesses didn't do so well. Aladdin's Jasmine and The Princess and the Frog's Tiana lingered at the bottom, below princesses from older franchises. (Mulan and Pocahontas didn't even rank.) But at least they aren't Belle, who brought in a measly $6800, which is pitiful considering Beauty and the Beast was a Best Picture nominee for an Academy Award, and was the first animated film to take home the big prize at the Golden Globes.